In a perfect world we would all recieve an OTA upgrade to Ice Cream Sandwich within a few hours of the announcement, but in reality we wait months for manufacturers to announce which phones will be upgraded and then even longer for that update to be released. Sony Ericsson have already announced they will upgrade their 2011 Xperia line to Ice Cream Sandwich in 2012 and have now provided an insight to the process from source code release to phone update. While it won’t make that sweet Ice Cream Sandwich come any quicker, at least now you know why it takes so long. 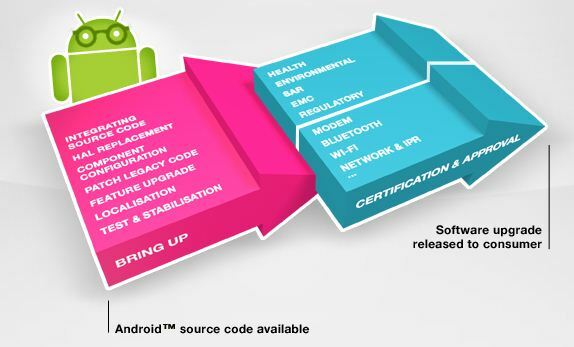 Source: Sony Ericsson Developer World.